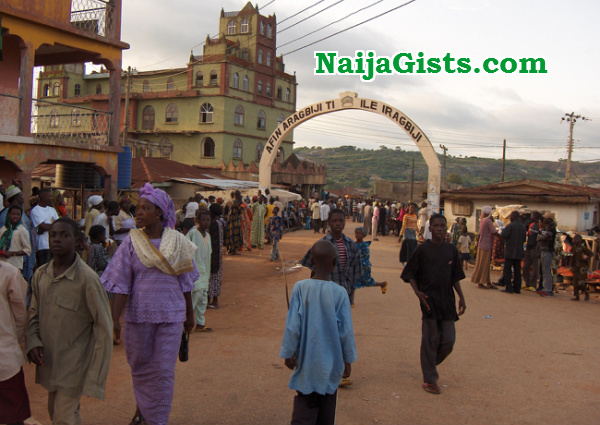 An innocent boy has died untimely in the hands of some suspected terrorists in Osun State. The victim identified as 24-month-old Teslim Bakare was reportedly beheaded by 3 suspected Islamic fundamentalists in Iragbiji town, Boripe LGA of Osun state. The suspect identified as Wasiu Danku, Mosudi Aremi and Tajudeen Ganiyu sliced Teslim’s throat at Agbelekale compound in Iragbiji over the weekend and kept his blood in a bucket for ritual purpose. According to police sources, unknown to the suspects, someone successfully recorded the scenes with mobile phone and handed the recordings to some people”. “The sect members, led by one Mosudi Aremu had been operating a mosque around Oke Mori area of Iragbiji and resided in another part of the town,” the police sources said. Another source at the State Criminal Investigations Department (SCID) disclosed that the suspects were giving clues to the police on the development. One of the residents of the area where the sect leader resided said: “No one knew who recorded them but people have been suspecting them around here. U c dat? Den sb wld wake up 4rm sleep & tell me dat islam is peace! Gabage, rubbish talk. Islam can neva b peaceful bcz even d devil himslf is a muslim. Dats d rzn behind dia crave 4 innocent blood. On d oda hand, if u ar a Christian, u‘ve got all ur lyf n destiny planned out alrdy. 2 b a muslim is an eneity wt d Almighty JEHOVAH GOD. As a result, u wll neva knw or hv peace as it is evident in all muslim con3s. how re you talking like this, islam is the religion of peace indeed. at list we also see some pastors kidnapping and so many bad attitude, let live all for God, I hope both xtian and Muslims, everyone shall taste death and after the trumpet blow, they will all receive their deeds, I cordially invite u to Islam, is a religion of peace. Abdul wasiu by name. Islam ! Islam !! Islam!!! Buhari mr push and start can u see what ur brothers are doing, u are there packing money may God forget u. God almighty will not forgive those bastards for killing an innocent child.Is this what your so called religion teaches? *****and rituals couple with Islam, killing and beheading of human beings is like bread and butter. If their religion so much approves of this none sense rituals, why can’t they make use of their own children! Who lies to them that power and money gotten through the platform of rituals will last. Islam is indeed a religion of peace and will forever remain so. Dont forget that since time memorial man has been a sinner and no where in history has ANY religion preached ritual and blood shedding. JUdge their conduct and the guard your islamphobic utterances!! Pls islam is a religion of peace. Dis people are satan of islam dey wan to tarnish islam and may Almighty Allah purnish dem here in earth and on d day of judgement. Any evil commited dis days are trace down 2 islam and posted but puting aside all d might evil commited by d christains . I have nothing to tell u all who abuse Islam, both xtian, transitional and Islam it self think they are on the right way, God know the best, I invite u all xtian to Islam bcox is a religion of peace indeed….